At long last, Marvel’s Netflix Daredevil finally punished us all with a trailer for Season 2, teasing some electrifying new friends and punishing new foes for Hell’s Kitchen alike. We couldn’t help diving way deeper into every frame of footage, so what secrets of Daredevil Season 2 did we sniff out? Beware of major spoilers, and check out everything we found in our inside look at the secrets of Marvel’s Daredevil Season 2 trailer! 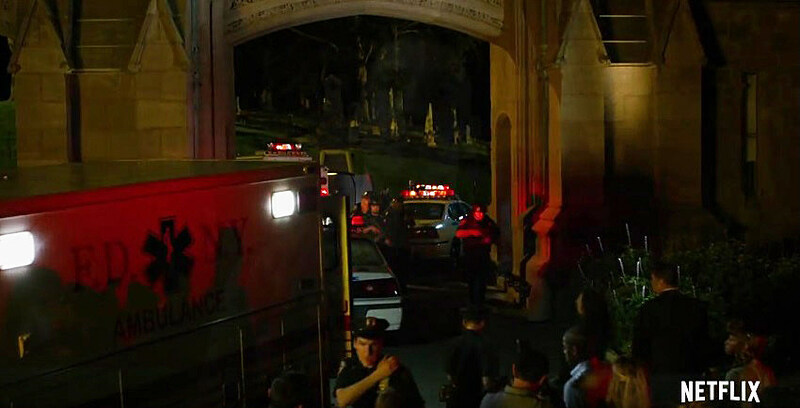 While it remains to be seen if we’ll actually see the event in question, the trailer opens on a visibly haunted Frank Castle in the aftermath of his family’s death. 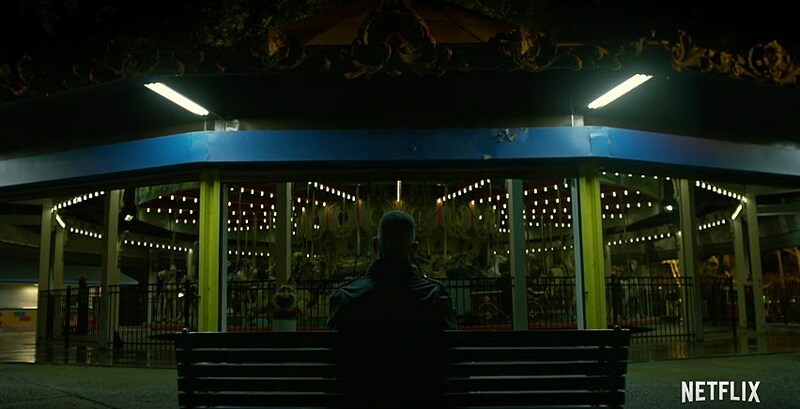 The “One Batch, Two Batch, Penny and Dime” is an especially creepy touch, and we’d guess by the prominent placement of the carousel (Frank also confronts some thugs around it at 1:54), that this was the site “The Punisher” was born. Knowledge and hardware to take out half the city. Hell’s Kitchen is about to explode. 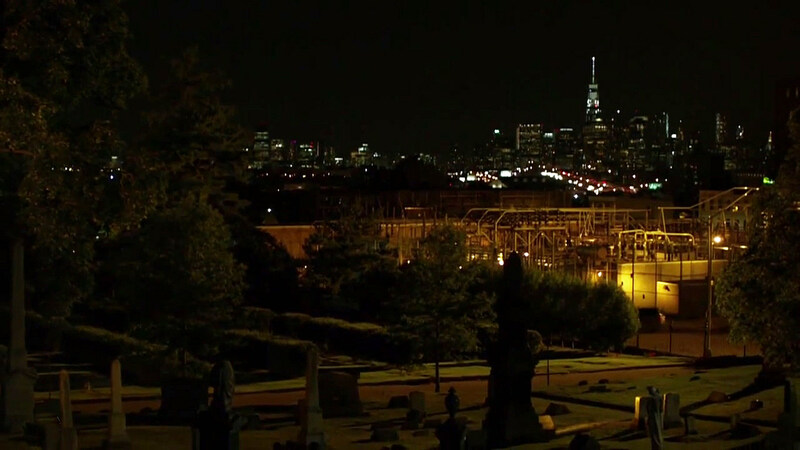 Since we see several sites of Punisher battles, it isn’t entirely clear the significance of this graveyard at 1:10. That said, we did see a reverse angle in the first New York Comic-Con teaser. 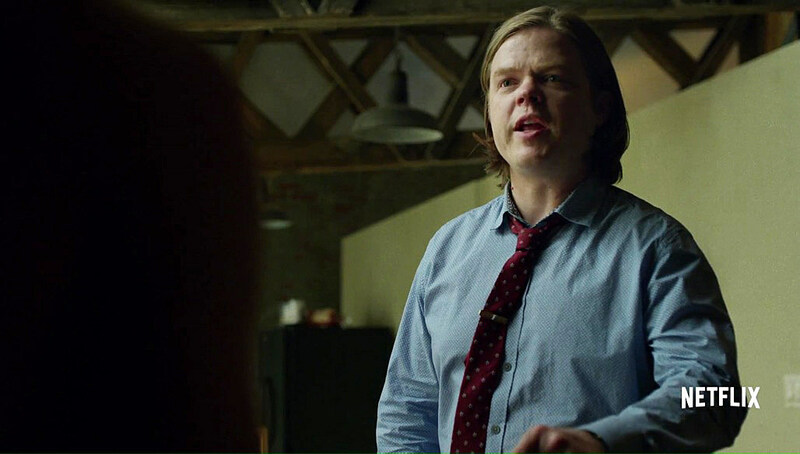 Maybe we created him, all of us … we never stopped to think that Daredevil’s actions could open the door for men like this. 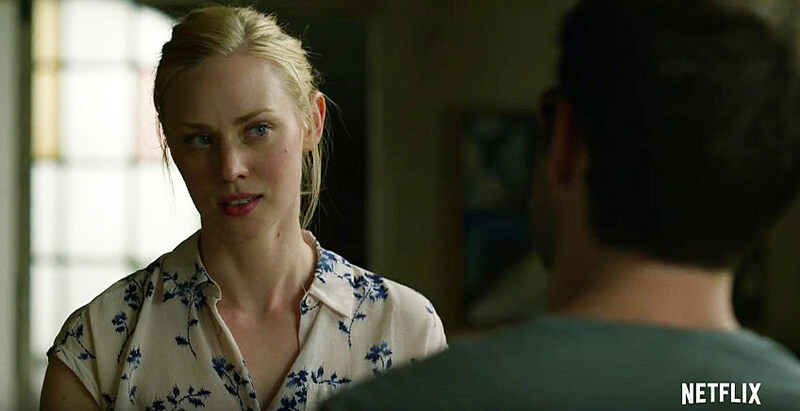 Here Karen makes her first appearance, wondering if Daredevil’s presence might have given rise to the creation of another murderous vigilante, even as Matt claims “there’s no connection.” It’s also worth noting that Karen is in Matt’s apartment, both a little dressed down, which could perhaps follow the telling shot of things turning romantic between the pair. 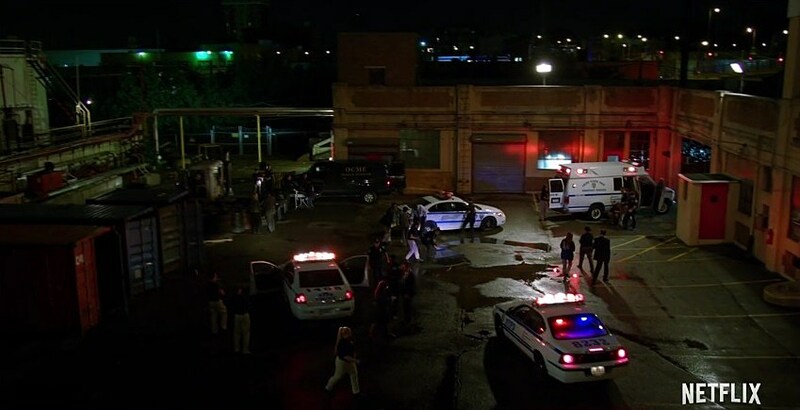 No telling who this particular fellow at 1:27 is just yet, though he’s definitely on Frank Castle’s hit list. 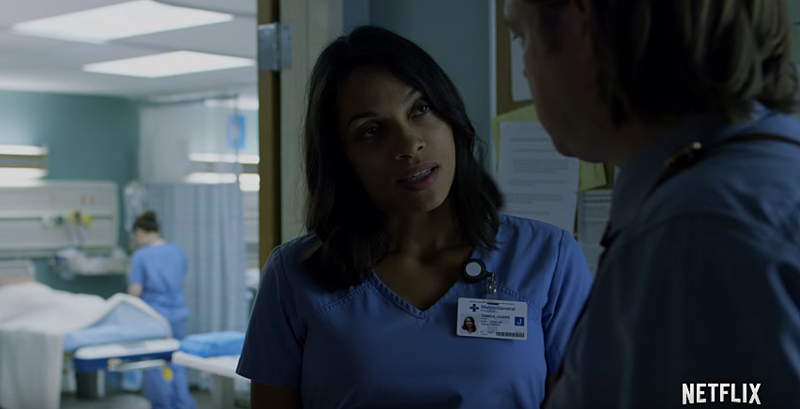 Note the hospital gown as well, which could explain that shot from the previous teaser (repeated here) of Jon Bernthal in hospital corridors. Perhaps Frank missed his first chance? Might Matt be undercover, to start hooding up at 1:29? Could the blind lawyer from Hell’s Kitchen end up on the run for some reason, perhaps outed to the media? Hoodies are always bad news. The ever-concerned Foggy still isn’t down with Matt’s vigilante crusade, reminding his one-time best friend that he’s already donated enough blood to this particular war. Whatever the source of Matt and Foggy’s current divide, we’d bet it has something to do with the sight Foggy and these gentlemen overlook at 1:46 (note Foggy’s same attire). No idea who Matt’s fighting at 1:38, but note some of the battle-damage that starts to accrue on the suit, likely owing to his first fight with Frank Castle on the roof. 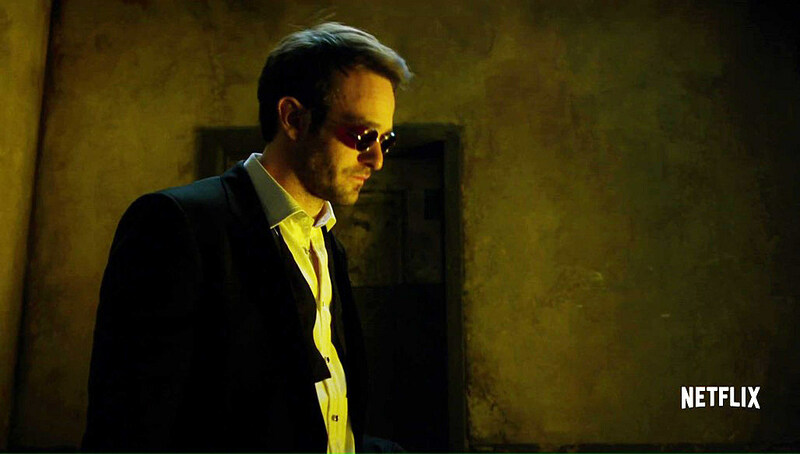 We see that sequence in multiple stages, and seeing as Matt only has the one fancy red outfit, Daredevil may find himself with another upgrade before the season is out. Here we see what appears to the next lengthy hallway fight Charlie Cox alluded to, like the first season’s, but “on crack.” Note the increasingly haggard Matt grabbing a chain and battling baddies through multiple layers of this particular locale. Formal wear (1:46)! Matt’s goin’ somewhere fancy. 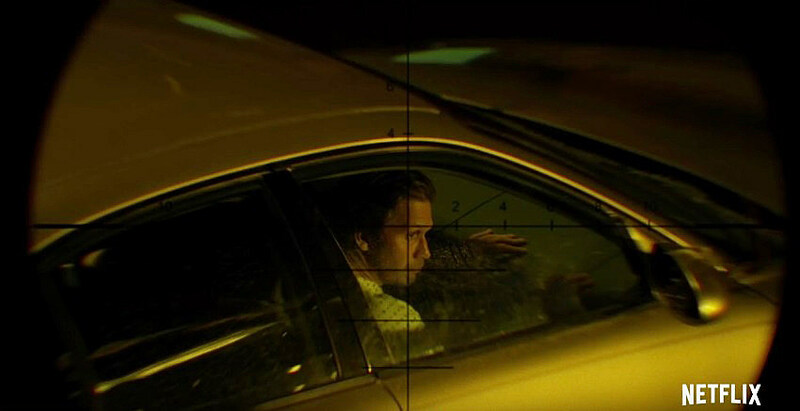 At 1:49, Frank looks a little more beat up than any other portion of the trailer, and reluctant to pull the trigger on someone in particular. Yep, probably time for a new suit there, Matty. Because I think you’re a half-measure. I think you’re a man who can’t finish the job. I think that you’re a coward. The particular sentiment that “you’re one bad day away from being me” had been tossed out in interviews and conventions long before The Punisher was officially announced for Daredevil Season 2, and Frank is happy to remind us. 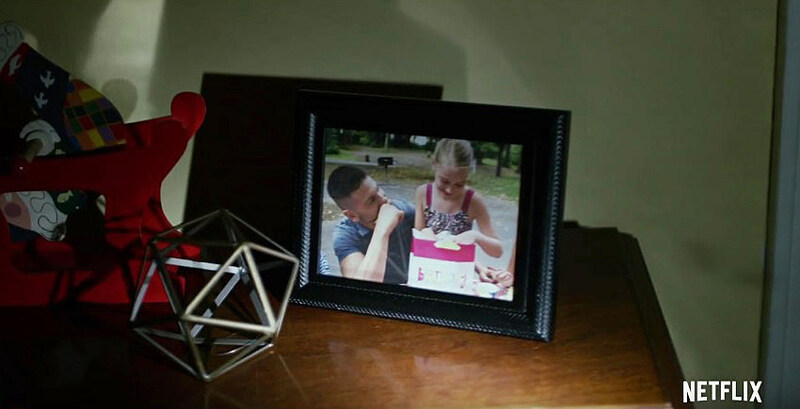 “Hello, Matthew.” Finally, we’re guessing Matt and his perhaps-college girlfriend didn’t leave on the best of terms, that she’d simply appear in his apartment without notice, all sinister-like. Also note Matt’s rain-soaked appearance, likely placing this scene somewhere in the vicinity of the moment with Karen earlier. Still, as our only glimpse of the character, perhaps that second trailer teased for February 25 will see Elektra in action? Well, what do we think? Does Daredevil Season 2 seem like the most intense Marvel story yet? What other details from the trailer are worth another look? Stay tuned for the latest, and get ready to suit for Daredevil Season 2's March 18 premiere! Don’t forget the next trailer on February 25!